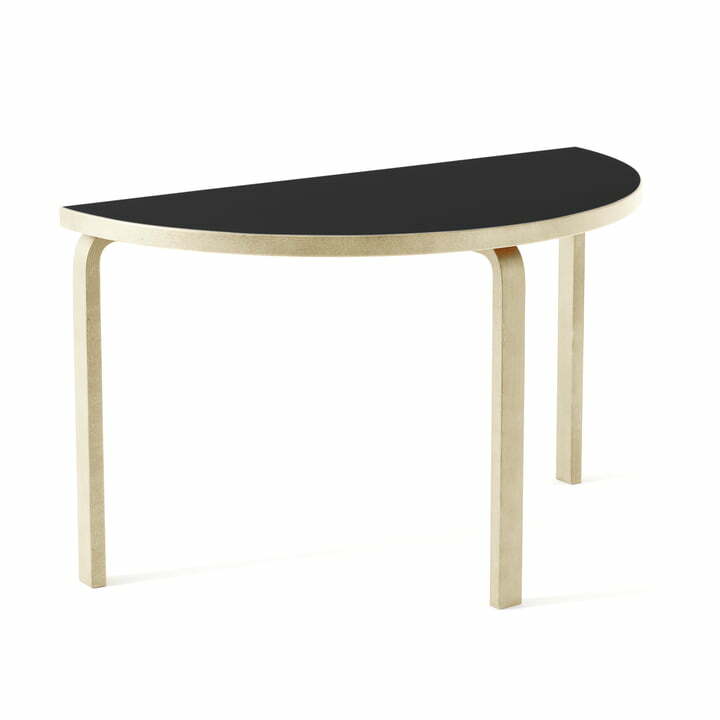 The 95 table by Artek is extraordinary, yet simple and timeless, designed in 1935 by the married couple Aino and Alvar Aalto. The special feature of the table is the semicircular table top and the L-shaped legs, which make the otherwise plain table an absolute eye-catcher. The shape is ideal for smaller apartments in which no large dining table will fit. The semicircular table is simply placed against the wall, where it offers enough space for two chairs. 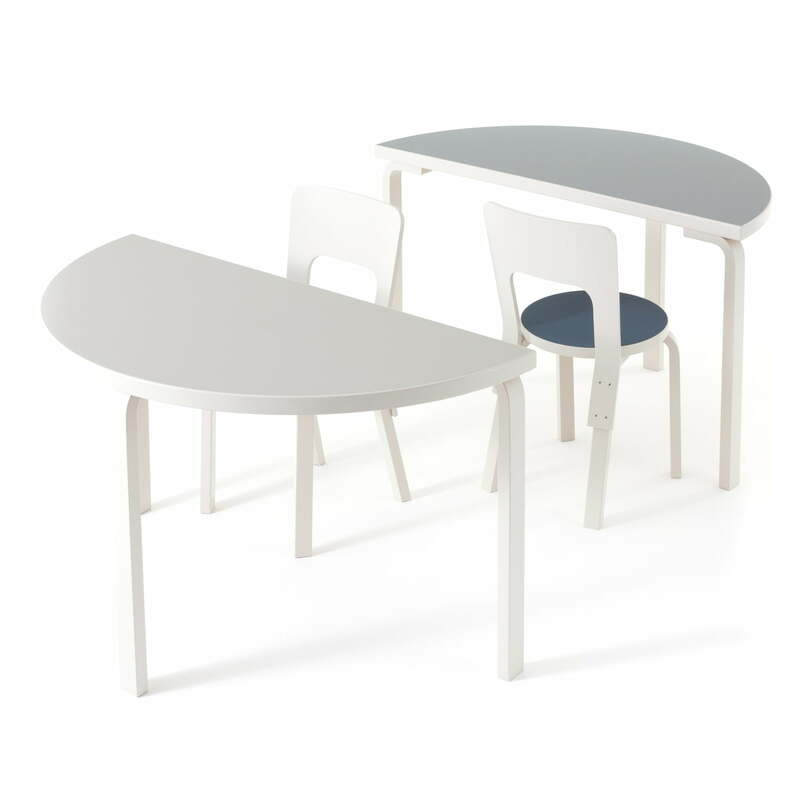 Alternatively, the table can be free-standing or combined with the tables 80A, 80B or 81B to create a unique desk or dining table with rounded ends. It is made from sustainable wood and is available in different finishes. The special feature of the table is the semicircular table top and the L-shaped legs, which make the otherwise plain table an absolute eye-catcher in the dining room. 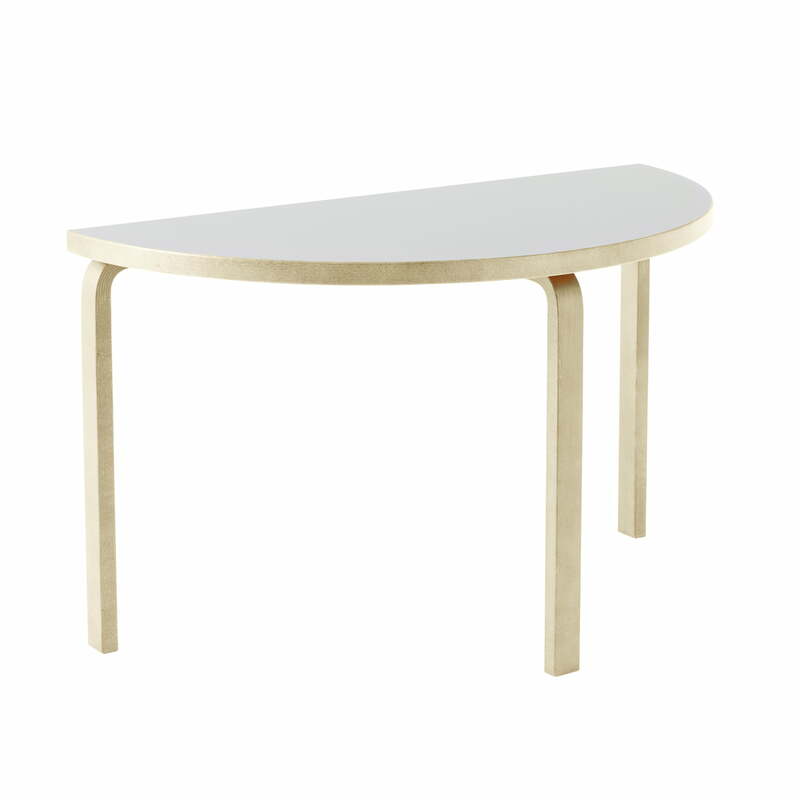 The 95 table by Artek in natural birch / laminated white: The 95 table is extraordinary, yet simple and timeless, designed in 1935 by the married couple Aino and Alvar Aalto. To celebrate the 100th anniversary of Finland's independence, Artek launched Alvar Aalto’s furniture in white and with new colours for the linoleum tabletops. 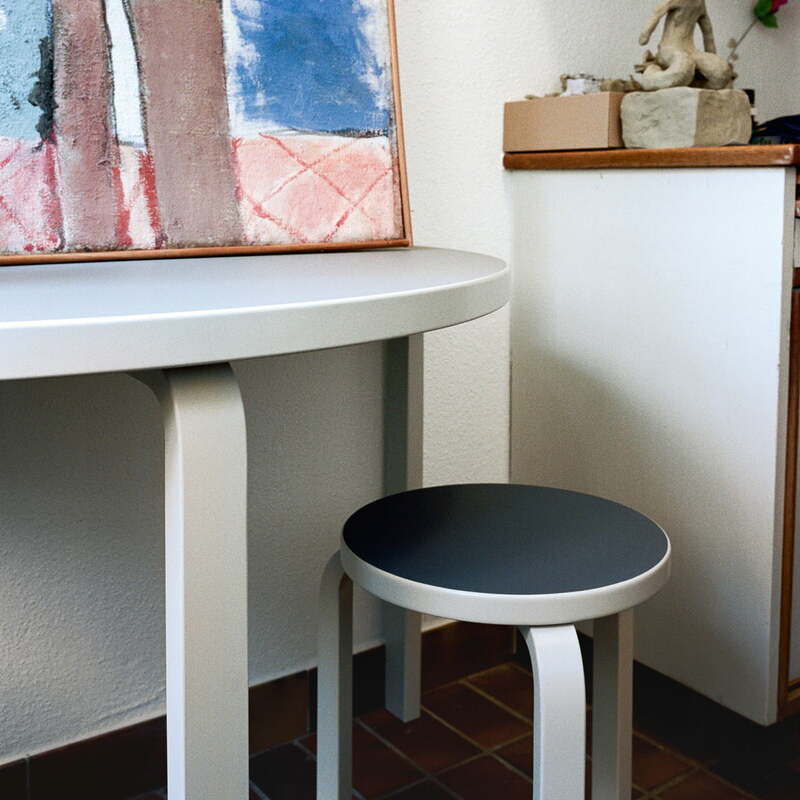 The stackable Stool 60 was designed by Alvar Aalto in 1933 and initially manufactured by O.y. Huonekalu – ja Rakennustyötehdas. It goes perfectly with the table 95 by Artek. In the twenties, the couple experimented with the bending of wood, creating a piece of solid birch wood that was bent to a 90-degree angle. 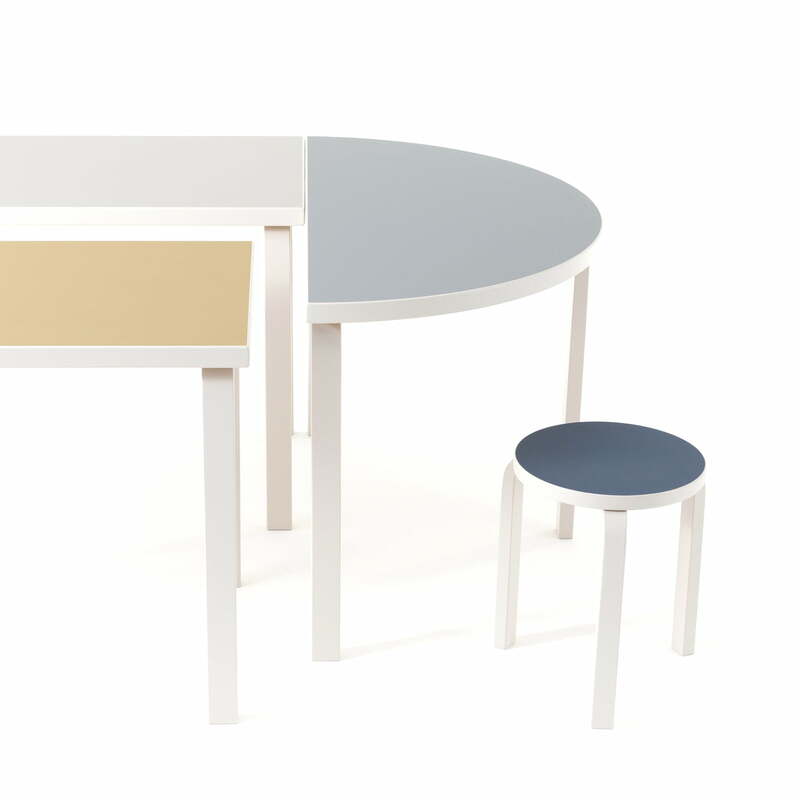 The patented design was known as L-leg and forms the basis of many tables and stools by Artek.